Software is rapidly moving to the SaaS model. Public SaaS companies grew at 27.5% in 2017 versus 12.3% for Software companies (Software Equity Group). The revenue of a recurring SaaS subscription stream will exceed that of licensed software, but that typically takes nearly 3 years, SaaS Revenue Models Win in the Long Run. SaaS growth comes with operational costs that must be expensed before much of the subscription revenue is recognized. The result is the majority of public SaaS companies are unprofitable during their high growth stage. A major factor which is under appreciated in reaching profitability for SaaS companies is reducing their Cost of SaaS Services to increase their gross profits. The median EBITDA for public SaaS companies in 2017 was -5.4% though private SaaS companies surveyed by KBCM Capital Markets had a median EBITDA of -14% in their 2017 Survey. Modest reductions in the Cost of SaaS Services can mean the difference between a profit and loss. EBITDA tends to decrease with higher growth due to the high expense levels to fund that growth. The superiority of the SaaS business model is based on the potential of significantly greater profitability of a SaaS customer than of a licensed software customer over the life of the customer. But that requires paying for the operational expenses of the SaaS business from the gross profits of the subscription – the Subscription Revenue minus the Cost of SaaS Service. While SaaS companies grow much faster than on-premise software companies, their profitability is delayed until the subscription revenue builds up as their customer base increases. This is largely due to the high cost of revenue acquisition relative to the level of the short-term revenue generated. The faster a SaaS company grows the greater the percentage of newer customers whose revenue has not yet covered their acquisition and other company costs impacting profits. Lowering the Cost of SaaS Service can help the company achieve profitability sooner. SaaS companies far outperform their on-premise competitors. Public SaaS companies have a median price/revenue ratio of 6.5x compared with 3.0x for on-premise companies Software Equity Group. Most high growth SaaS vendors have a negative net income due to their higher expenses relative to income. 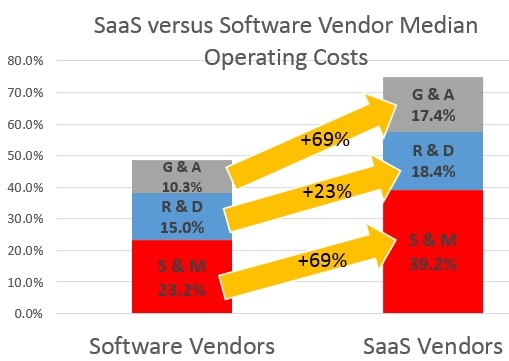 Since the income is deferred over the life of the customer, the proportion of operational expenses to this reduced current revenue is greater — in fact the median difference in Sales & Marketing and General Administrative expenses for SaaS vendors is 69% higher than Software vendors. Sales and Marketing expenditures are essential to drive incremental revenue. Research and Development expenditures are necessary to build on the product superiority. General and Administrative expenses will be minimized as much as feasible. That leaves reductions in the Cost of Services as an often overlooked opportunity to improve profitability and cash flows. SaaS companies have two primary revenue streams – Professional Services and Subscription revenues. The professional services component of SaaS revenue is typically 5% to 20% of the B2B revenue. The profits on SaaS professional services is low — the percent of professional services revenue and the gross profits of these services were respectively: Salesforce 7%/19%, Workday 27%/17%, Demandware 8%/-19%, and NetSuite 20%/15%. Since these professional services revenues are a relatively small portion of the total revenue, this article focuses on the more controllable Cost of SaaS Services. Reducing these costs while maintaining excellent performance, availability, security, compliance and customer satisfaction can make the difference between a profit and loss. The SaaS Operations are comprised of Hosting Services, Administration, Personnel and Other. SaaS Operations costs can be reduced through optimal use of managed hosting by relying on the capabilities of the hosting provider. 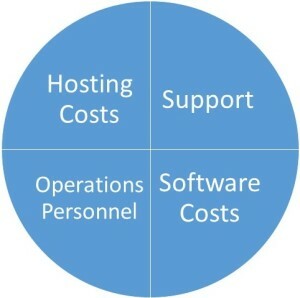 Infrastructure as a Service (IaaS) – the cost of the computing resources with minimal support for the SaaS operations. Managed Hosting – the cost of the computing resources and the management of the infrastructure including the underlying software stack on which the SaaS Company’s application runs, management tools, and security. In-house IT – the cost of the infrastructure and its maintenance. The significant personnel expenses tend to dominate the total IT costs (below). System Planning and Administration either performed by company personnel, outsourced, or included in the Hosting Services. License fees, depreciation of software and hardware capital, and other miscellaneous expenses. Customer Support consists of the direct cost of resolving customer issues required for their successful use of the SaaS product including problem resolution and assisting in their use of the system. Customer Support does not include Professional Services activities such as paid training and implementations. The Cost of SaaS Services of world-class SaaS companies is below 20%. This benchmark Cost of SaaS Services is difficult to achieve for smaller SaaS companies not yet achieving economies of scale. The Cost of SaaS Services should be scrutinized, and plans should be initiated to achieve these costs goals while providing world-class SaaS. The expense of software licenses and subscriptions can be a significant portion of the Cost of SaaS Services. The ROI of using purchased software must be considered as these expenses add to the Cost of SaaS Services. However, it may be desirable to use third party components to build SaaS product to reduce internal development costs and decrease the time to market. These will add to the Cost of SaaS Services software expenses, but may reduce the development expenses and potentially the hosting costs if the third-party software is more efficient than other alternatives. Open Source alternatives may be considered, but evaluate the capabilities and the support costs of Open Source software. The hosting provider will include many of the software tools required to monitor and operate the SaaS application. This can provide significant cost savings from having to acquire these tools directly. Software that is developed in-house may be at least partially “capitalized” for financial reporting standards. The amortization costs of this software must be included in the SaaS Cost of Service. SaaS Operations costs are determined by the Application design, the Hardware and Software on which the application is hosted, the human capital needed to operate the SaaS application, and the system capacity and performance requirements. Whether building a new SaaS offering or optimizing an existing SaaS operation, the SaaS company, in partnership with its hosting partner should follow a process working from the solution architecture to its ultimate optimization to achieve the lowest operational costs. The plan should address the application and the hosting services together. After the SaaS system “goes live,” its operation should be monitored not only to only to ensure its performance, reliability, and security, but to identify areas for optimization to continue the “continuous improvement cycle” to drive down costs. These improvements will be incorporated into the system and the process repeats. The efficiency of SaaS Operations encompasses both the architecture of the software together with the hosting platform and its configuration. The working relationship between software development and SaaS operations is critical to success. This can be done most effectively when SaaS companies work with Managed Hosting providers to architect and operate the SaaS system together continuously improving its efficiency. 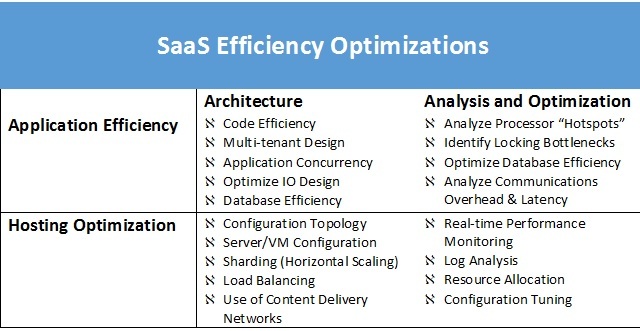 The SaaS Operation Plan success depends critically on the caliber of both the SaaS Application and the SaaS Hosting, both from an Architectural perspective (prior to deployment) and an Analysis/Optimization perspective (post deployment). The hosting resources required are dependent upon the efficiency of the SaaS application. Following the 80-20 rule, those few areas of heaviest resource consumption should be the focus of optimization. SaaS applications have the inherent potential for much more efficient computing resource utilization because of the efficiency of sharing resources between large numbers of tenants. The peak load requirements of each tenant will occur during different periods enabling greater utilization by pooling resources rather than having to provision each client to their peak resource requirements. Higher utilization of commuting resources decreases hosting costs. This requires a multi-tenant software architecture to effectively share resources among the tenants. 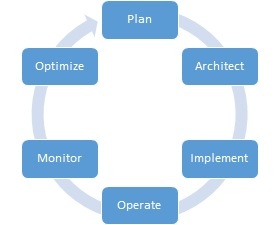 Application concurrency is necessary to take full advantage of a multi-tenant architecture. The total number of users supported by an instance of the SaaS application is much larger than on-premise software supporting a single customer. This requires a maniacal focus on architecting the software for concurrency in its use of the database, IO, and network resources to minimize the blocking of the software while waiting for these operations. Greater computing resource utilization leads to lower hosting costs. Architecturally, the areas of greatest resource consumption are optimized based on the presumed operation of the software. During the application analysis phase, those “hotspots” of heavy utilization (both processor and IO) will be identified for optimization. While processor utilization is relatively simple to model, predicting areas where IO, network, and databases delay the operation of software is challenging until the software is running under load. Test load generators should be used in advance of full deployment, and monitoring tools should identify areas which impede the scalability of the software due to these bottlenecks. Once identified, these bottlenecks can be eliminated or reduced by a combination of software architectural and system configuration changes. The design of the operational infrastructure is crucial to efficient SaaS operations. The configuration provided should be optimized using enterprise class hardware and software with the option of choosing the appropriate size of servers and virtual machines for the SaaS application. The hosting provider should provide a complete range of resource options to match the performance requirements. For example, the ability to provide high-performance IO with SSD caching to ensure the performance of large SaaS application should be an available option from the hosting provider. The hosting provider should offer a choice of private, public, and hybrid clouds, with the capabilities to optimize these resources through a common interface across all the cloud types. Fundamental to the hosting architecture is the load balancing between different application, database and web servers. The load balancer must be architected to provide maximum efficiency and flexibility. All large SaaS systems must have redundancy built into the hosting architecture to minimize downtime in the event of a failure of components within the system. The redundant components should be architected to provide the greatest fault tolerance. This entails both minimizing the “points of failure” that must be replicated and building that replicated environment at the lowest possible cost. The actual usage will vary from the predicted usage and change over time. The system must be monitored continually to optimize its efficiency while providing the required level of performance. This will include areas such as response time, resource utilization, and log analysis of the computing system. This monitoring will lead to methods to improve the performance, scalability and efficiency of the SaaS operation, while identifying system anomalies to be resolved. The resources to analyze the SaaS operations, and the ability to work effectively with the SaaS company’s own team for is critical to operating at peak efficiency. The hosting provider should have provide a comprehensive set of management tools together with expert personnel as part of the Managed Hosting service. The expense of SaaS company personnel to operate and administer the SaaS operation is a potentially significant area of savings. Moving portions of the responsibility of managing the SaaS operations to a Managed Hosting provider can reduce the total cost of Cost of SaaS Services. The cost of staffing a SaaS operation 24/7/365 is great; providing the required uptime with “on-call” SaaS company personnel is difficult. Additionally, response time to systems issues are reduced when a managed hosting provider delivers the first line of support with resources for the hosted application available around the clock. Beyond the day-to-day support, the hosting provider can provide key expertise that is much less expensive than the SaaS company’s staff or paid consultants. The right specialists can provide the expertise to lower SaaS Costs while improving the service. Be certain that the hosting provider’s “expert” resources are truly experts and are accessible. The cost of the SaaS Subscriptions includes the Customer Support expenses to ensure Customer Success vital for customer satisfaction and customer retention. There are four areas to optimize to maximize “Customer Success” and minimize costs. Fortuitously, those practices which minimize support costs also improve customer satisfaction. The product must be reliable – each flaw in the software not only decreases customer satisfaction, but raises the cost of Customer Support. The User Experience should be designed to be intuitive. The use of the SaaS product should be “self-evident” minimizing support costs while increasing user satisfaction. When the customer has a problem or question, the first set of resources should be those which have the lowest costs. 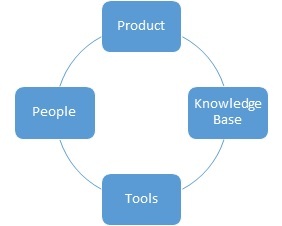 Those resources can be created both by the SaaS company and the user community. The company should create FAQs and a product knowledge base on the company web site. User forums improve the breadth of solutions provided and improve the responsiveness in resolving issues. The SaaS company should help create, monitor, and participate in these communities as a low-cost investment in reducing support costs. The SaaS company should maximize the information accessible by the customer. There are few instances where the information available to the support team shouldn’t also be available to the customers. Employing the appropriate tools can both reduce the cost of support and improve the customer satisfaction. A Customer Service Platform such as Zendesk which supports issue tracking by both the customer and the SaaS company is essential. The use of Customer Support Platforms directly by customers makes them more self-sufficient and leverages the user community to improve the SaaS product. Customer Engagement Analytics tools such as Gainsight help reduce the cost of Customer Support by identifying customers who are having issues with the software such as falling into error states. They can supply the customer with “in-app messaging” or email tips based upon their use of the system to direct them in the optimal use of the software reducing support costs. Beyond providing these “no-touch” methods of supporting the customer, chat tools and email capabilities of Contact Center software can reduce support costs from traditional call center operations. Insights obtained from the Customer Service Management platform, the Customer Analytics software, and the activity in the support forums should be directed to the product team to improve the software to further reduce support costs. The support staff needs to be well trained in the product, the technology and in customer relations. The people who resolve technical problems, both the programming staff and the hosting provider’s personnel, should be readily accessible to resolve problems. When SaaS operational problems occur, such as a system outage or a performance degradation, there needs to be an established resolution path coordinating the SaaS company’s support staff and the hosting provider. A final factor in reducing the support costs per customer is through customer retention. 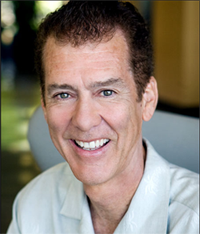 New customers require substantially more support than longer-term customers. Programs that focus on customer success and improve customer retention lowers the Cost of Support. The challenge for SaaS companies is to reduce Cost of SaaS Services to world-class levels – below 20% of SaaS subscription revenue. And this must be done while providing the Performance, Availability, Security, Compliance and Customer Support demanded by its markets. The Cost of SaaS Services can most effectively be reduced with a holistic approach which encompasses the software application, the host environment, the support infrastructure, and the people that make these all components optimally work together. Personnel costs may be reduced by shifting much of the SaaS operations responsibility to a provider who can perform these tasks more efficiently than they can be done in-house. Product improvement can both increase the efficiency of the SaaS software to reduce the hosting costs, and reduce the cost of support by improving product quality and the user experience. SaaS Operations is an area ripe for a “Continuous Improvement” methodology. Costs will decline with experience and as the economies of scale are realized. The benefits of scale can be provided by the right hosting provider even for smaller SaaS companies. The SaaS company should work with a hosting provider who will work with their development, operations, and support teams to minimize their costs. Accepting the status quo for the Cost of SaaS Services is imprudent given the potential for significant bottom line impact of improving efficiency. High-growth SaaS companies have slim operating margins. Savings on the Cost of SaaS Services can shift from a loss to a profit. Additionally, investors will be looking at the cost structure of SaaS companies and award those who operate low costs. Every SaaS company with SaaS Cost of Service at 20% or greater should embark immediately on a program to increase their efficiency. The right hosting provider can be a great resource to increase the efficiency of the SaaS operations while maintaining or enhancing the performance, capacity, and security of the SaaS offering. Now is the time to examine your Cost of SaaS Services and make the changes required to ensure your Cost of SaaS Services is at world-class levels.